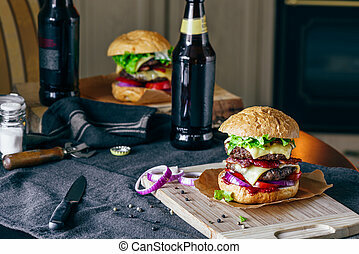 Homemade Burger on Paper with Beer Bottle. 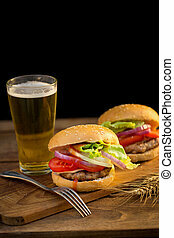 Dinner with Two Patties Cheeseburger and Couple Bottle of Beer on Kitchen Table. 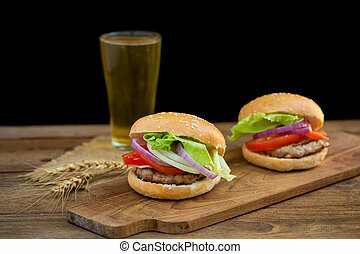 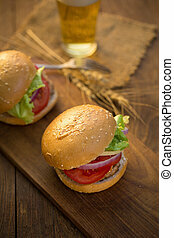 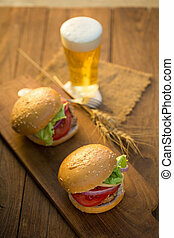 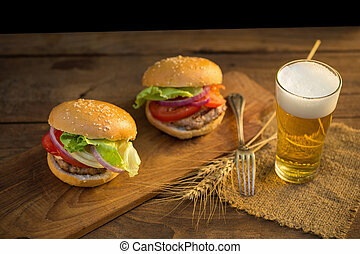 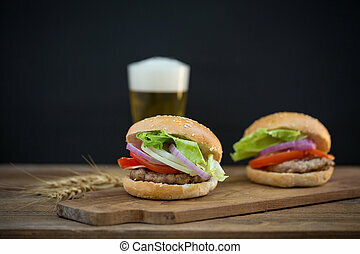 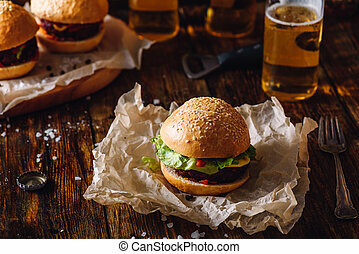 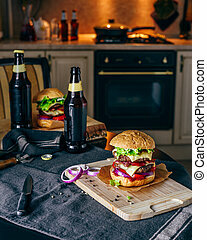 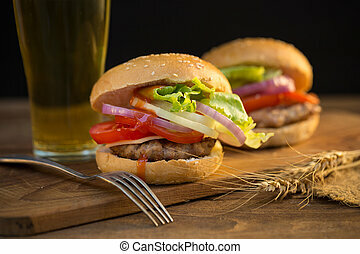 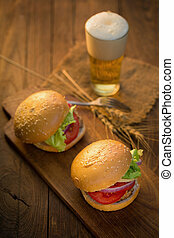 Hamburger on Kraft Paper with Lager Beer. 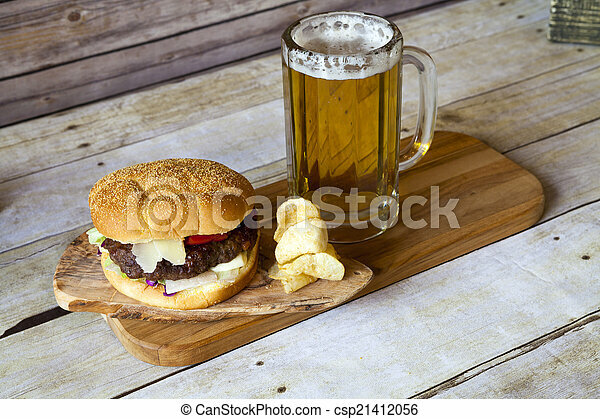 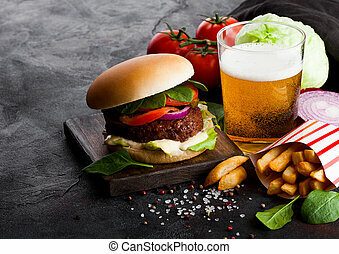 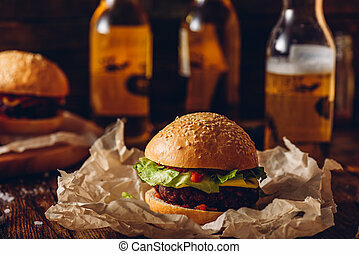 Fresh beef burger with sauce and vegetables and glass of lager craft beer with potato chips fries on stone kitchen background. 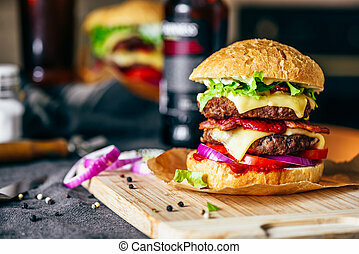 Cheeseburger with Two Beef Patties, Cheddar Cheese, Bacon, Iceberg Lettuce, Sliced Tomatoes and Red Onion on Cutting Board. 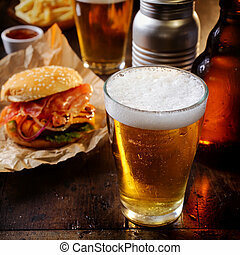 Bottle of Beer and Some Ingredients on Table.